Bini fil-għoli, iva jew le? Bini fl-ODZ, ċertament li le. Żvilupp mill-ġdid ta’ żoni dilapidati: hemm resistenza qawwja għar-riġenerazzjoni urbana. 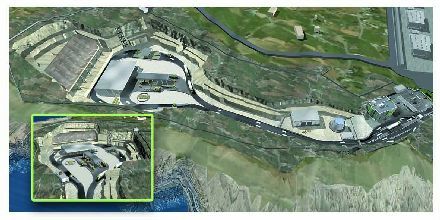 Bini fuq il-baħar (land reclamation), ċertament li le. Ħaga li jeħtieġ li tinftiehem sewwa hi li l–art f’Malta hi limitata u allura kull binja żejda tagħmel il-ħsara bla bżonn. Ikun tajjeb kienu naqblu li ż-żoni żviluppati, jew li jistgħu jiġu żviluppati, huma diġa kbar wisq u li jeħtieġ li jibdew jonqsu mhux jiżdiedu. L-unika ħaġa ċerta hi li hawn ftit iktar minn 70,000 post residenzjali vojt, inkluż dawk użati għall-villeġġatura, li b’mod ġenerali jagħmlu disa’ xhur tas-sena vojta. Din waħedha hi raġuni biżżejjed għal moratorium dwar proġetti kbar residenzjali. Tista’ min-naħa l-oħra tkun ukoll inċentiv għal proġetti ta’ riġenerazzjoni urbana li permezz tagħhom jinħolqu spazji miftuħa sostanzjali f’żoni residenzjali. 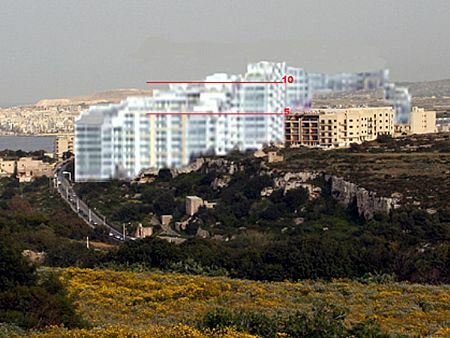 Spazji li huma tant meħtieġa biex iż-żoni urbani tagħna li huma mitluqin jingħataw il-ħajja. Il-bini għoli jista’ jkun aċċettabbli (jew le) skond il-kuntest li fih ikun propost. Importanti li jingħataw piz lill-impatti akkumulati fuq il-komunitajiet tagħna. Għax li jsir żvilupp ta’ bini għoli mingħajr ma jagħti każ bis-serjetà tar-residenti, bħad-diversi torrijiet li qed jinbtu qieshom simboli falliċi mxerrda mal-pajjiż, huwa ta’ ħsara kbira. A building development amnesty is in the pipeline. It is being handled by MEPA. No one is yet aware as to whether this is a MEPA initiative or else whether MEPA was instructed by the government to prepare a proposal. Nor is anyone aware as to whether there will be any public consultation on the matter. Only one thing is clear: development abuse will be given the green light as long as you can afford to pay for it. From what is known so far on the proposed amnesty, it will be possible to pay your way around building development policies and regulations: around some of them at least, and subject to some limitations. We already have rules and regulations which establish minimum standards on how land and buildings can be developed. Land use policies and regulations, as well as sanitary regulations applicable to residential buildings will most probably be the targets of a projected amnesty. 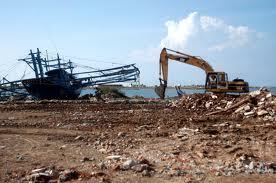 Infringement of land use policies and regulations can take various forms. Building within a development zone without a permit, while being a serious infringement, does not require an amnesty. Existing legislation already addresses the matter and provides for sanctioning. This would be the case if the development carried out conforms with existing policies and rules and subject to the payment of already established fines. Problems may arise if sanctioning is not possible due to non-observance of height limitation rules or sanitary regulations. Current rules do not permit the sanctioning of buildings not in conformity with existing height limitations. Will the proposed amnesty permit such buildings? If the amnesty does permit the infringement of existing height limitation rules, this would mean that height limitation rules all over the islands might just as well be shredded. What about non-observance of sanitary regulations? From comments in the media, attributed to the MEPA CEO, this is apparently a major justification for the proposed amnesty. An amnesty was already introduced through Legal Notice 229/2012 in July 2012 permitting variations to the dimensions of yards and the minimum internal height of buildings. This 2012 amnesty was intended to regularise the position of dwellings whose backyards/internal yards as well as whose internal height were smaller than the required minimum. The 2012 amnesty was not only about minor infringements. The 2012 amnesty made it possible to regularise variations of up to 35% of the yards’ dimensions. This is substantial, and is not limited to just a few centimetres variation! The 2012 amnesty was unwarranted. Current legislation already provided sanitary authorities with the tools required to consider variations from sanitary permit conditions. In fact the Code of Police Laws in article 97(1)(p) establishes that when an exemption from the rules relative to the permissible dimensions of yards is being considered by the authorities, it must be ensured that this may be “granted without detriment to the wholesome condition of the house or of other houses in the vicinity”. This legal guidance inbuilt in our legislation grants the authorities a degree of leeway to sanction variations (even more than those few centimetres variation), but in so doing the authorities must ascertain that the impacts of these variations are contained. In particular, the authorities are duty bound to ensure the protection of third parties when considering exemptions of sanitary rules. Yet even the 2012 amnesty ignored impacts on third parties and rewarded abusers by going beyond the consideration of minor misdemeanours. On the basis of the available information, the newly planned amnesty will follow the same path. Sanitary rules applicable to dwellings serve the purpose of protecting our health. Appropriately sized yards are intended to ensure adequate ventilation in our homes; a measure intended to guarantee the quality of air indoors. This is essential to ascertain that buildings are habitable. As minor variations in the sizes of yards can already be permitted through these same rules, so what, may I ask, is the purpose of increasing the possibility of variations? Quite obviously, addressing minor variations is not the target of the amnesty as these are already addressed. Apparently, it is planned to target substantial variations which go beyond what the 2012 amnesty addressed. Reports indicate that the proposed amnesty would also address buildings outside the development zone (ODZ) not covered by a development permit or not built in accordance to a valid development permit. In the past months we have already had the opportunity to discuss the Rural Policy and Design Guidance 2014, which, while consolidating (with amendments) in one document all existing ODZ polices, extended the possibilities of development in rural areas. Applying an amnesty to areas outside the development zone signifies that it may well be the intention of the amnesty drafters to create another loophole, as a result of which rural land abusively developed in the past would be given the green light. For example, the owners of illegal villas constructed in the ODZ may be rewarded. This would be over and above the controversial development rendered permissible through the Rural Policy and Design Guidance 2014. 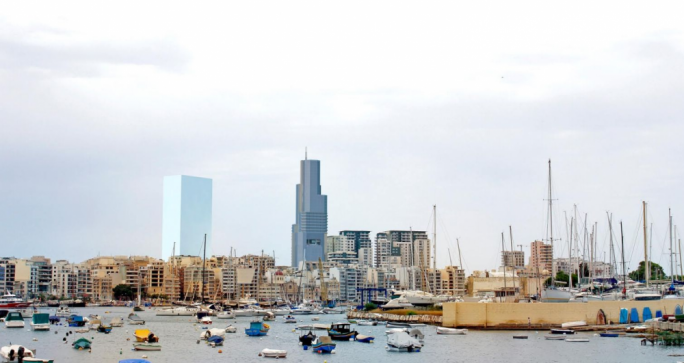 Having considered the above, it is legitimate to ask whether ignoring the law and policy regulating land use is a new form of investment in Malta, reaping substantial dividends: the spoils of environmental crime. Apparently, the authorities think that only fools observe the law. The rest can pay their way around regulations and policies. What is the purpose of having laws establishing standards if the authorities, on a continuous basis, encourage abuse through amnesties and lack of enforcement action? If the proposed amnesty proceeds as indicated, Malta will be sending out one clear message: it pays to ignore the law. 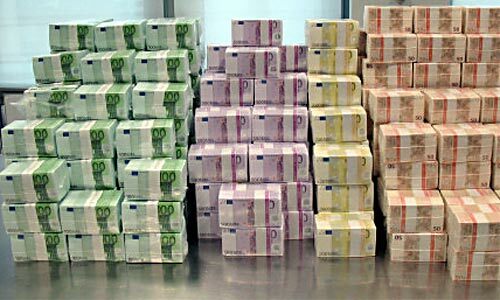 Crime pays, and the state will come to your rescue to ensure that you cash in on your investments. If the planned amnesty proceeds, the government will be an accomplice in environmental crime. 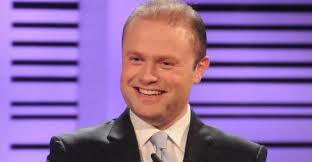 The Republic of Malta should not to be governed in this manner. Iktar milli jiċċajta, forsi nkun iktar korrett jekk ngħid li jħobb jipprova jgħaddi n-nies biż-żmien. F’waħda mill-okkazjonijiet li fihom indirizza lill-istampa riċentement qal li l-budget għall-2015 hu wieħed li jħares l-ambjent! Ħadd ma jistax jiċħad li l-budget fih numru ta’ miżuri ambjentali. Imma b’daqshekk ma jfissirx li dan hu budget ambjentali. Kulma jagħmel il-budget hu li jiġbor flimkien id-diversi miżuri li qed jippjana li jieħu l-Gvern matul is-sena 2015. Jonqsu viżjoni koerenti ambjentali li la għandu u l-anqas jidher li jista’ jkollu fil-futur immedjat. Il-ħarsien tal-ambjent m’huwiex biss dwar il-kostruzzjoni, imma ukoll dwar il-bijodiversita, is-sostenibilita’, l-kwalita tal-arja, il-politika dwar ir-riżorsi, il-viżjoni marittima, l-ilma, il-politika dwar il-klima, l-enerġija alternattiva, t-trasport, l-ekonomija l-ħadra, l-ekonomija l-blu, l-ekonomija ċirkulari, it-tassazzjoni ambjentali u tant affarijiet oħra. Diskors tal-budget li ħa kważi 4 siegħat biex inqara ma sabx imqar ftit sekondi biex jispjegalna kif il-Gvern ta’ Joseph Muscat ser jimplimenta politika ta’ żvilupp sostenibbli. Mhux biss. Imma fl-estimi għall-Ministeru bl-isem twil u bombastiku okkupat minn Leo Brincat (Ministeru għall-Iżvilupp Sostenibbli, Ambjent u Tibdil fil-Klima) kullma hemm ivvutat għall-politika tal-iżvilupp sostenibbli hu għaxart elef ewro. Dikjarazzjoni onesta li tfisser biss li matul l-2015 il-Gvern ta’ Joseph Muscat m’għandu l-ħsieb li jagħmel xejn f’dan il-qasam. It-terminu Żvilupp Sostenibbli fid-diskors tal-budget jissemma darbtejn. Jissemma biss fiż-żewġ tabelli fejn hemm imniżżel l-isem tal-Ministeru ta’ Leo Brincat. Il-politika dwar l-iżvilupp sostenibbli tinseġ flimkien il-politika ambjentali, dik ekonomika u soċjali. Meta tkun żviluppata kif imiss, il-politika dwar l-iżvilupp sostenibbli tassigura l-interessi tal-ġenerazzjonijiet futuri billi tmexxi l-quddiem l-ekonomija b’rispett sħiħ lejn l-ambjent u lejn il-bniedem. Għalhekk ngħidu li l-politika dwar l-iżvilupp sostenibbli hi mibnija fuq erba’ pilastri: l-iżvilupp ekonomiku, l-ħarsien tal-ambjent, il-ħarsien soċjali u l-politika kulturali. Fil-ġranet li ġejjin ikolli l-opportunita’ nispjega iżjed fid-dettall kemm il-budget ippreżentat għall-2015 bl-ebda mod ma jista’ jitqies budget li jħares l-ambjent. Minkejja li hemm miżuri individwali li huma pożittivi ma teżistix viżjoni ambjentali ċara u koerenti. Għalhekk Joseph qed jiċċajta meta jgħid li dan hu budget ambjentali. Sandro Chetcuti, President tal-Assoċjazzjoni Maltija tal-Iżviluppaturi qed jgħid li l-iżviluppaturi jidhrilhom li l-ikbar ostaklu għall-iżvilupp huma l-għaqdiet ambjentali. Apparti li Sandro mhux korrett fl-għażla tal-kliem li uża, dak li qal hu l-ikbar ċertifikat li jista’ jagħti lill-għaqdiet ambjentali. Għax fil-prattika, dak li qal Sandro jfisser ħaġa waħda: il-partiti politiċi fil-Parlament huma innewtralizzati, u li l-għaqdiet ambjentali qed jagħmlu dmirhom. Qed ngħid li Sandro mhux korrett fl-għażla tal-kliem u dan għax il-mira tal-għaqdiet ambjentali m’huwiex l-iżvilupp iżda l-abbuż u miegħu l-iżvilupp li mhux sostenibbli. Wara l-maltemp ta’ dawn l-aħħar ġranet ix-xena li bosta minna jiftakru hi dik ta’ kwantita’ kbira ta’ ilma fit-toroq tagħna. 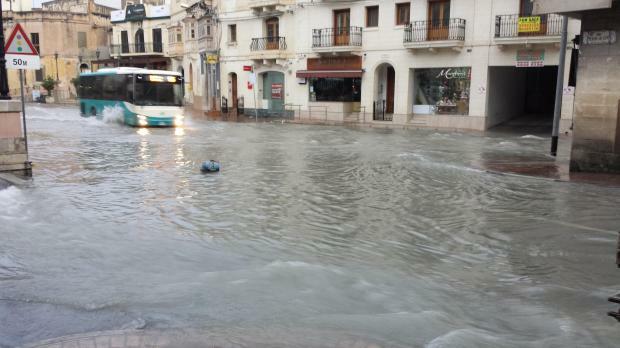 Riħa ta’ drenaġġ f’uħud mit-toroq u tappieri tad-drenaġg ifuru f’ xi toroq oħra. 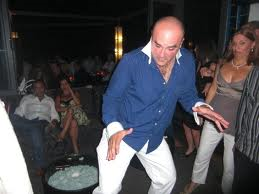 Sitwazzjoni li bla dubju ddejjaq lil bosta. Toħloq inkonvenjent lil kulħadd u ma tagħmel ġid lil ħadd. Filwaqt li nkun l-ewwel wieħed li naċċetta li l-intensita’ tal-maltempati hi effett tat-tibdil tal-klima ma naħsibx li jiena waħdi li osservajt li m’hemmx il-ħtieġa ta’ xi maltempata qawwija biex f’Malta jfur id-drenaġġ jew biex ikollna kwantita’ kbira ta’ ilma fit-toroq. Il-proġett iffinanzjat mill-Unjoni Ewropeja li permezz tiegħu dawn l-ilmijiet ser jinġabru u l-parti l-kbira minnhom jintefgħu l-baħar qatt ma kienet is-soluzzjoni ġusta. L-ilmijiet fit-toroq u d-drenaġġ ifur huma riżultat ta’ dawk li filwaqt li bnew, uħud għalihom u oħrajn għan-negozju, ma ħaffrux (jew bnew) bjar fil-propjetajiet tagħhom. L-ilma tax-xita li suppost inġabar fil-bjar spiċċaw tefgħuh fit-toroq jew fid-drenaġġ. F’dan iż-żmien tas-sena, meta ftit li xejn għadha għamlet xita f’Malta, l-parti l-kbira tal-bjar li huma mibnija sewwa u tal-qies addattat kienu għadhom vojta qabel ma għamel il-maltemp ta’ dan l-aħħar. Kien faċli li bjar kważi vojta jimtlew bix-xita li għamlet. Dan kien ikollu l-konsegwenza li kien jonqos ħafna ilma tax-xita mit-toroq kif ukoll li kien jonqos ħafna ilma tax-xita mis-sistema tad-drenaġġ. B’hekk inqas kien ikun hemm ċans li tfur is-sistema tad-drenaġġ. 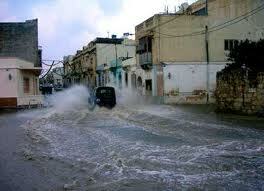 Dawk responsabbli għal dan kollu huma dawk li bnew flats u maisonettes tul is-snin f’kull rokna ta’ Malta. Flok ma lestew bjar biex fihom jiġbru l-ilma tax-xita għażlu li jarmu l-ilma tax-xita fit-toroq jew fid-drenaġġ! L-anqas li kellna ilma kemm irridu ma kien ikun ġustifikat li wieħed jaġixxi b’dan il-mod. Aħseb u ara meta wieħed iqis li aħna wieħed mill-iktar pajjiżi nieqsin mill-ilma fid-dinja! L-approvazzjoni għall-ħruġ ta’ permess finali biex dak li kien il-Mistra Village ikun żviluppat m’hu xejn ġdid. Bħalu kellna u ser ikollna bil-gzuz. Imma hemm numru ta’ affarijiet li ġraw li ta’ min jaħseb ftit dwarhom. L-ewwel nett insellem lil Simone Mizzi minn Din l-Art Ħelwa u Astrid Vella minn Flimkien għal Ambjent Aħjar li ippresentaw il-każ f’isem is-soċjeta’ ċivili. Li ma rnexxilhomx jikkonvinċu maġġoranza tal-membri tal-Bord tal-MEPA mhux tort tagħhom. L-approvazzjoni tal-permess hi kaġun tal-fatt li l-maġġoranza tal-membri tal-Bord tal-MEPA jaħsbuha b’mod differenti. Kien hemm wieħed mill-membri tal-Bord li ddejjaq bil-kummenti li kienu għaddejjin u ħin minnhom żbroffa u qal li kulħadd irid jifhem li l-Bord tal-MEPA kif kostitwit illum għandu fuq spallejh obbligi li jirriżultaw mid-deċiżjonijiet tal-Bord ta’ qabel. Issa huwa veru li kien hemm outline permit, jiġifieri permess fil-prinċipju. Imma hu veru ukoll li fil-passat kien hemm ċirkustanzi li fihom il-Bord tal-MEPA xorta ma approvax permess ta’ żvilupp minkejja l-eżistenza ta’ outline permit. Hekk kien ġara fil-każ ta’ żvilupp mill-ġdid (redevelopment) tal-fabbrika tas-7 Up f’Santa Venera. Minkejja l-outline permit il-Bord tal-MEPA dakinnhar immexxi minn Austin Walker kien irrifjuta li joħroġ permess ta’ żvilupp. Punt ieħor huma l-veduti li jikkuntrastaw fi ħdan il-PN. Ir-rapprezentant tal-Partit Nazzjonalista fuq il-Bord tal-MEPA ippropona li l-iżvilupp propost jitnaqqas u dan biex jonqos l-impatt fuq ir-residenti. Dan jikkuntrasta mal-presenza tal-President tal-PN Dr Ann Fenech fil-kwalita’ tagħha ta’ konsulent legali tal-iżviluppaturi mill-Kuwait. Mhux biċċa tiegħi min ikunu l-konsulenti legali tal-iżviluppaturi. Imma huwa importanti li ninnotaw li President tal-Eżekuttiv tal-PN xejn ma iddejqet li tagħti messaġġ li jikkuntrasta b’mod negattiv mal-posizzjoni li ħa r-rappresentant tal-grupp Parlamentari Nazzjonalista fuq il-Bord tal-MEPA. Dan iġibni għall-aħħar osservazzjoni. Iż-żewġ partiti fil-Parlament, il-Partit Nazzjonalista u l-Partit Laburista, it-tnejn li huma, kull wieħed bil-mod tiegħu, fittxew li jaġevolaw l-industrija tal-bini. Tul is-snin il-PN ipprova jitħabbeb maż-żewġ naħat, kemm mal-industrija tal-bini kif ukoll mal-ambjentalisti. Ir-riżultat hu li m’għandu kredibilita’ ma ħadd għax ma tistax togħġob lil kulħadd. Il-Labour hu iktar ċar: l-industrija tal-bini għalih hi mutur importanti għall-ekonomija. U ħalef li jagħtiha l-għajnuna kollha possibli. Hekk qed jagħmel. Qed jimxi ma dak li wiegħed. Il-permess tal-Mistra Village hu wieħed li bħalu għad irridu naraw ħafna oħra. Nipprotestaw? Iva mela le. Huwa tajjeb li nuru li ma naqblux ma dawn id-deċiżjonijiet. Imma kien ikun aħjar li iktar nies fehmu x’wegħdu l-PN u l-Labour qabel l-elezzjoni ġenerali. Kieku forsi kien ikun hemm bżonn ta’ inqas protesti. Imma għal bosta dan it-tip ta’ “żvilupp” ma kienx konsiderazzjoni importanti qabel l-elezzjoni! Huwa biss issa li qed jirrealizzaw li wara kollox dan il-bini b’mod goff ser jeffettwalhom il-kwalita’ ta’ ħajjithom. Earlier this week the Gasco gas plant at Bengħajsa was inaugurated. It marked the first phase of a project which will eventually lead to the dismantling of the Enemalta gas plant at Qajjenza. The Qajjenza gas plant was surrounded by a residential area built primarily as a result of the issuing of building permits in the late 1970s and early 1980s by an administration which was insensitive to the safety of residents. There were also various allegations of corruption as to the development permits issued at Qajjenza. Being in the vicinity of the gas plant land at Qajjenza was slightly cheaper to purchase and hence eventual permits rendered substantially higher profits. This is the reason why an area which should have been retained as undeveloped was in fact developed with residential units. The transfer of the gas plant from Qajjenza to Bengħajsa solves this problem. It was a time bomb which fortunately never exploded. The commencement of the second phase will lead to the dismantling of the equipment on site at Qajjenza gas plant as well as a decontamination of the site if this proves necessary. This is progress even if it has taken a considerable time to achieve. After last Monday’s storm the usual comments were read and heard: the damage sustained, the cost to the insurers, the cleaning operations, the near misses. There was no comment on the real culprit for a substantial part of the damage. No one commented on the excessive building development taking over agricultural land over the years. No one commented on the building in and along valleys. No one commented on the lack of water cisterns in residential units which although a legal requirement since 1881 is more honoured in the breach. Successive governments and the public administration in the last 50 years is responsible for this mess. It is in fact the cost of incompetence. If all residential units are provided with rainwater cisterns there would certainly be less stormwater gushing around in the streets. Certainly no overflowing sewers as still happens in a number of localities. If rubble walls along valleys are properly and regularly maintained there would be less obstruction to the natural flow of water. If no dumping of waste occurs in valleys, there would be less obstruction to the natural flow of storm water. But this has not been so. Hence the scale of the damage. The damage caused by last Monday’s storm is the accumulated cost of incompetence.